HOLY MOLY SEASON 4 ALREADY?? We’ve been making wig and moustache jokes for three whole years! It’s been a gosh darn blast and we can’t wait to see what our 4th season will bring. 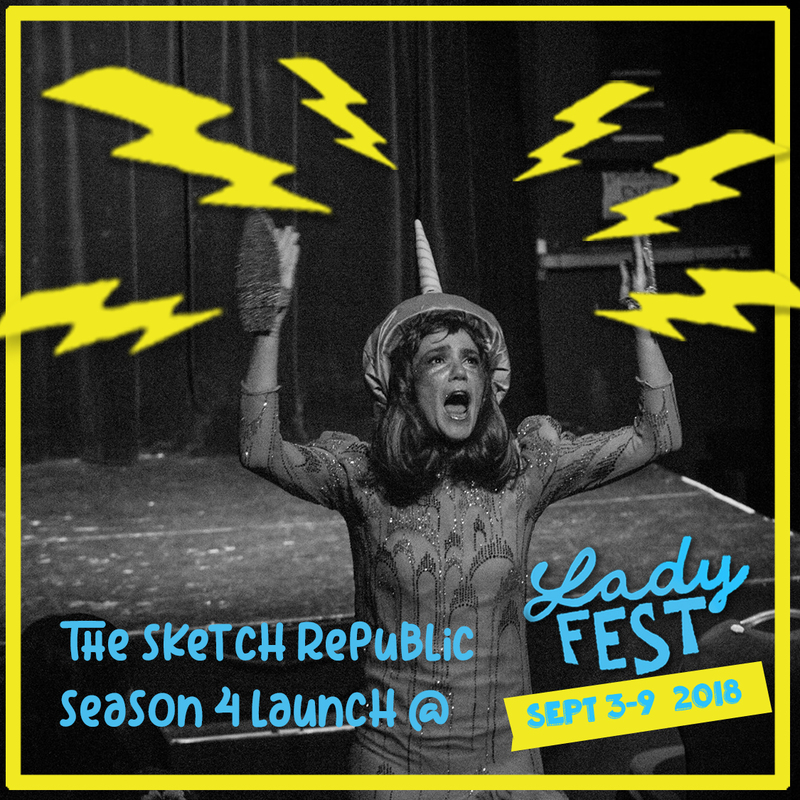 And, oh boy, have we got a treat for you to start it all off because this year we’re doin’ the prestigious LADYFEST – we can’t wait to surf that groovy wave of lady hilarity. Famous narwhal ‘NARNIE’ is re-inventing herself for the occasion. THIS IS BIG NEWS! We can’t believe we got her – $he i$ very expen$$ive! 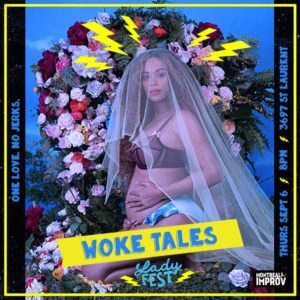 An evening of empowering shade from diverse Montreal comedians laughing, organizing and, fighting back against the b.s. Toronto’s monthly YAS KWEEN is joining forces with Montreal’s COLOUR OUTSIDE THE LINES to create an incredible night of comedy! 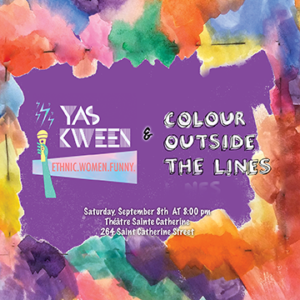 YAS KWEEN creates a space for those who identify as Women of colour/ethnicity (WOC) to share their voices, develop their craft, and connect with each other, and for ONE NIGHT ONLY are sending their improv house team – THE KWEENDOM! Not only that! Stand-up by Dawn Franklin (Ottawa), Surer Deria (Toronto), and Sehar Manji (Montreal)! COLOUR OUTSIDE THE LINES features a diverse ensemble of improvisers, who draw inspiration from narratives of family, moving to new places and blending traditions uplifting one gorgeous bouquet of perspectives! This show is absolutely a-one-of-a-kind, not to be missed kind of deal! 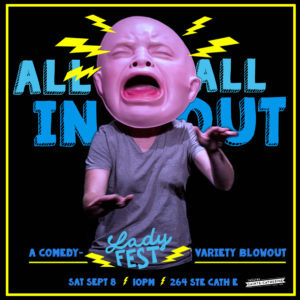 ALL IN ALL OUT is Ladyfest’s blowout mixed bag of hilarity, showcasing some of the best comedy brains this city has to offer and bringing in some fabulous guests from afar! Variety is the spice of life, and this night’s gonna be TASTY. With the fabulous Aliya Kanani hosting! Montreal’s longest running improv show features some of Montreal’s best improvisers and stand up comedians, special guests from all parts of the globe, and the best up and coming improvisers from our free workshop series. If you take the free class a few times, you could even end up on stage, in the show!! Come for the class at 5pm, stay for the laughs! FEST PASSES ARE ONLY $40+tax FOR ACCESS TO ALL THE SHOWS! 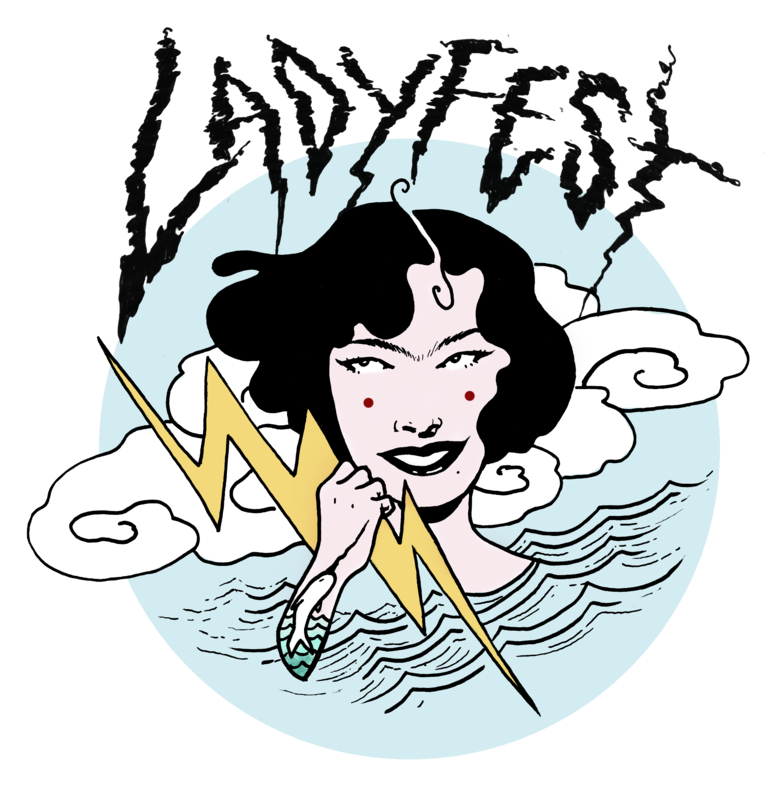 THIS SHOW IS GOING TO KICK OFF Ladyfest Montreal 2018! with a HUGE SPLASH!! 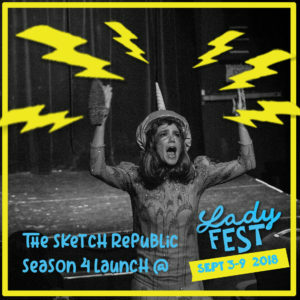 The long running weekly stand up show “There’s Something Funny Going on at Blue Dog” with Rashta Kruger at the helm is joining forces with Ladyfest to combine local lady power with fresh faces on the same stage! New comics can schmooze, laugh, and test their grits with some of the funniest females in town!! With Tranna Wintour hosting the show! 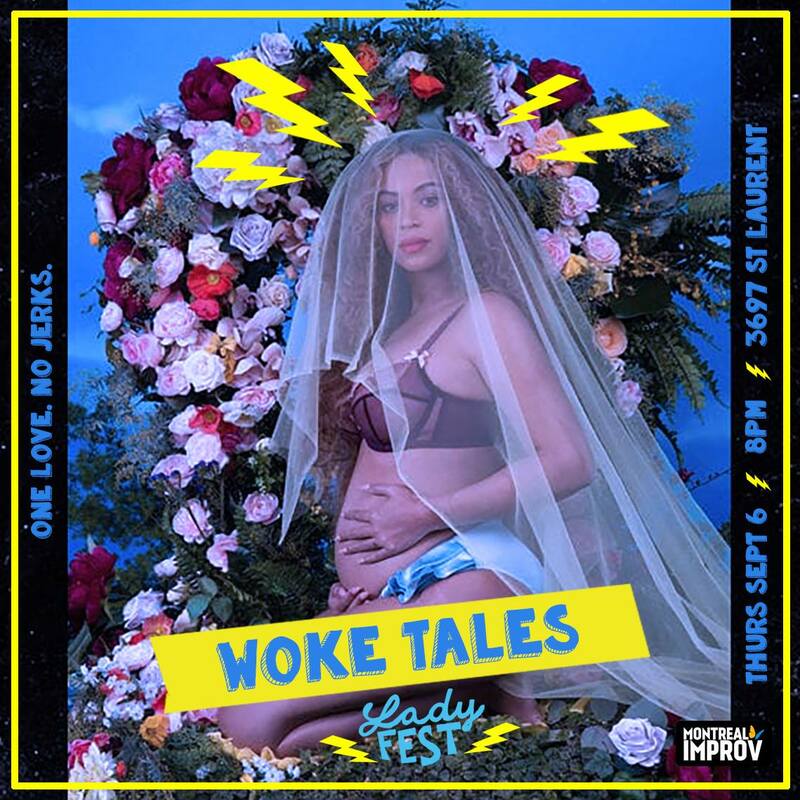 A night of storytellers sharing their tales and their perspectives that’s guaranteed to leave you feeling woke AF. Don’t miss this night of narrative intimacy. 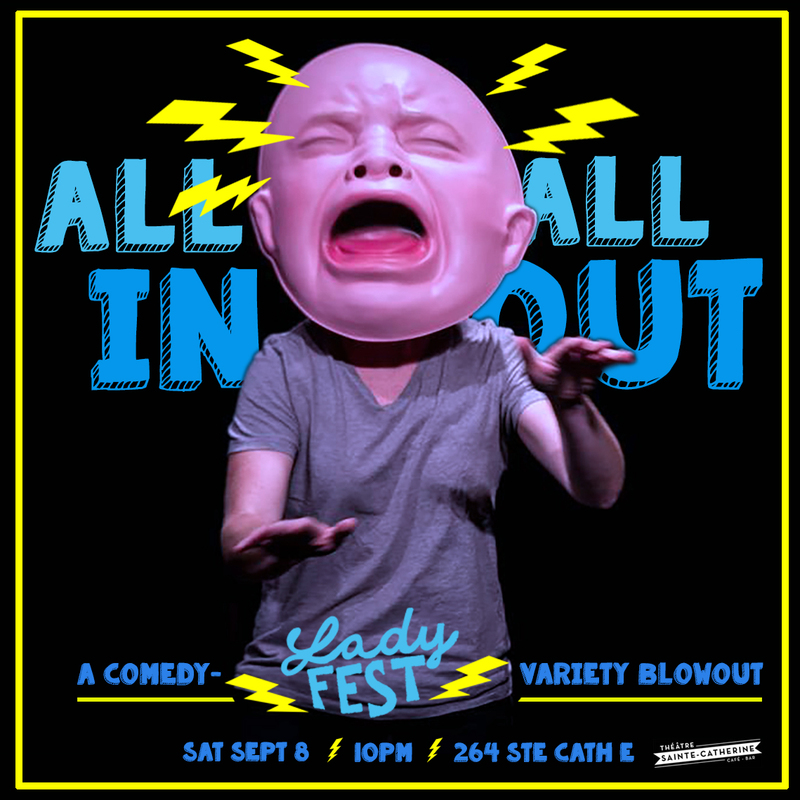 For Ladyfest 2018, expect a feminist deep dive into The Feminine Mystique with a cast so lit you’ll death drop. 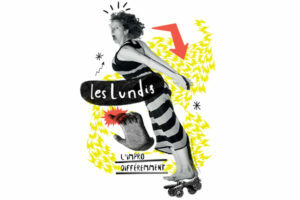 A glamorous night of hilarity and short comedy films screened & directed by Montreal’s best up-and-coming comedic talent. 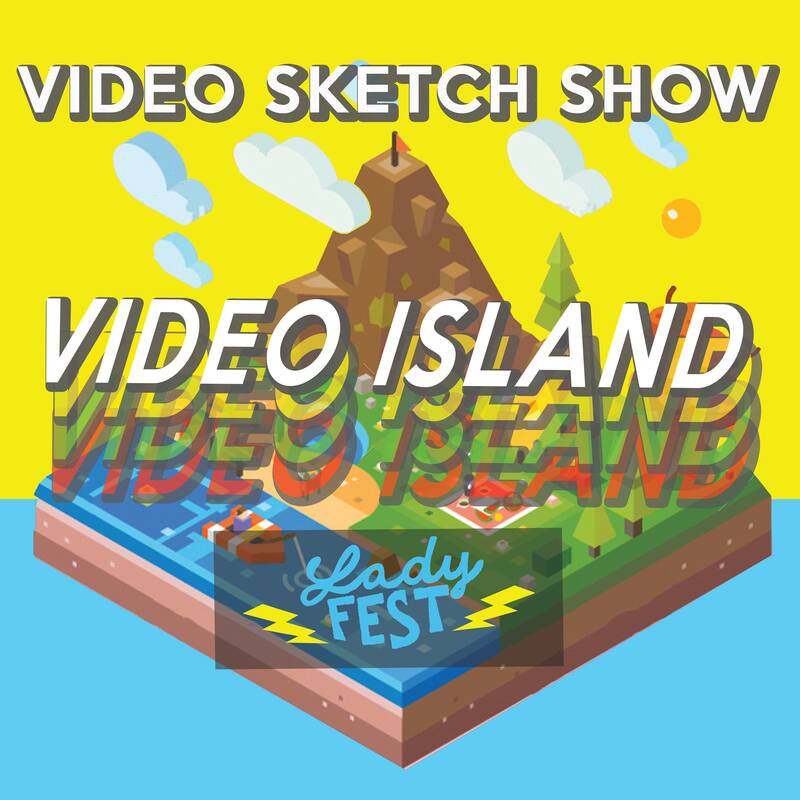 Come see local sketch comedians, local celebrities and some of the fiercest film crews celebrate the art form of filmmaking and crown one team with Video Island: Ladyfest Edition’s coveted Award – the “Best of the Really Good”. 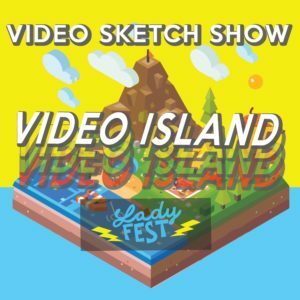 Ladyfest strives to organize comedy events that are respectful and enjoyable experiences for all to laugh, connect and grow. We have zero tolerance for: racism, sexism, transphobia, homophobia, ableism, ageism, fatphobia, xenophobia and violence. Those who disrespect these terms will be asked to leave.